You know you love that sports bar right around the corner. The big-screen TVs, trivia, maybe a pool table or two. But the main reason (besides the booze) of going to any sports bar is to get to watch the game without dealing with the crowds, the headaches, and the weather. You just want to chill, check out the game, enjoy your beer, and the rest is history. We’re Sure Every Sports Bar Owner Knows This — Which is Why Matching the Theme Well Especially Geographically Matters! 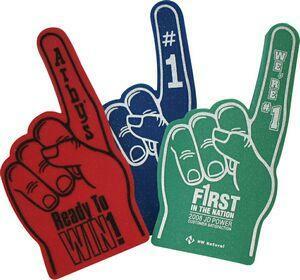 Logo printed foam novelties really speak to the customer, especially when you brand it exactly how they want it to be. Let them cheer. 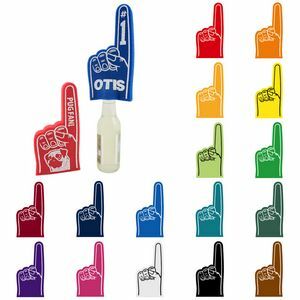 Heck, let them cheer with their own foam novelties while a bit tipsied up! You provide the goods. You decorate your space with your own branded foam novelties, and it’s one big tailgate party in the comfort of your own pub. And you can do that for very little money through BRAVA Marketing! Win-win. Or touchdown. How about “score”? Or however you want to call it. From a certain perspective, this is marketing at its best, especially if you know your customers. Play to their ideals, and you have them hooked. Are they big on their hometown team? Good. 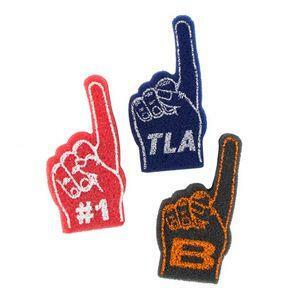 Get some foam novelties custom made, and when the big game starts, PASS THEM OUT! You just can’t beat that kind of customer retention in a sports bar, grade A, and unbeatable. Don’t Hesitate. Sign Up for BRAVA Marketing Right Now. You can actually peruse our many designs right now, right here. 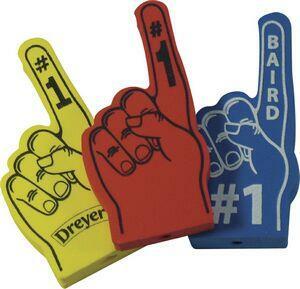 And after you find a design, or a particular kind of foam novelty, CONTACT US RIGHT NOW. We’ll help you out. That’s our job. Your job is to make sure your customers get to watch their team win the game.